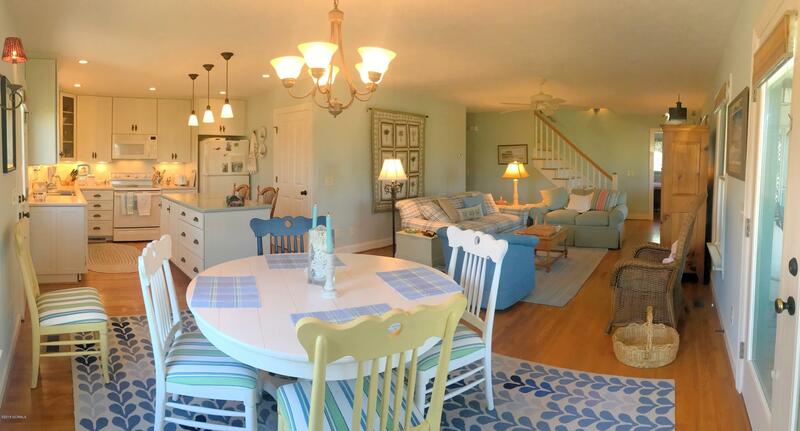 BACK ON THE MARKET, one owner, never rented, fully furnished, architect designed! 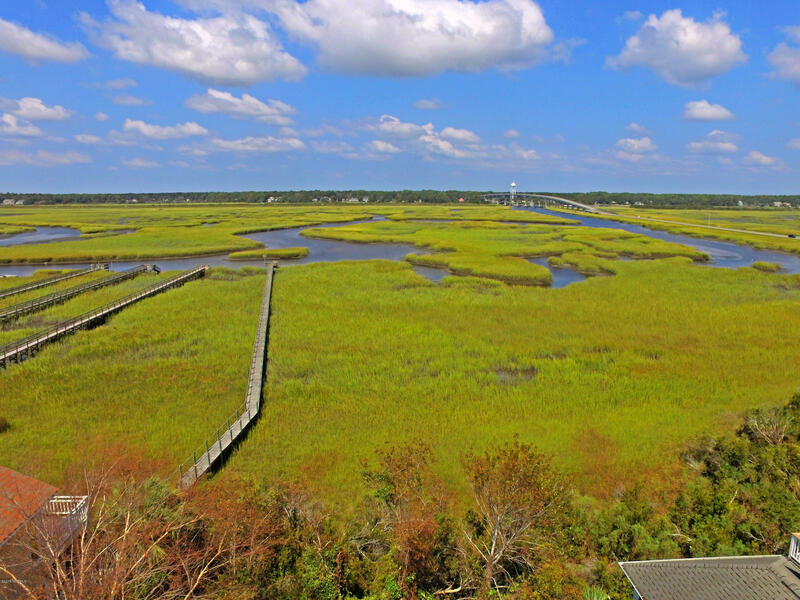 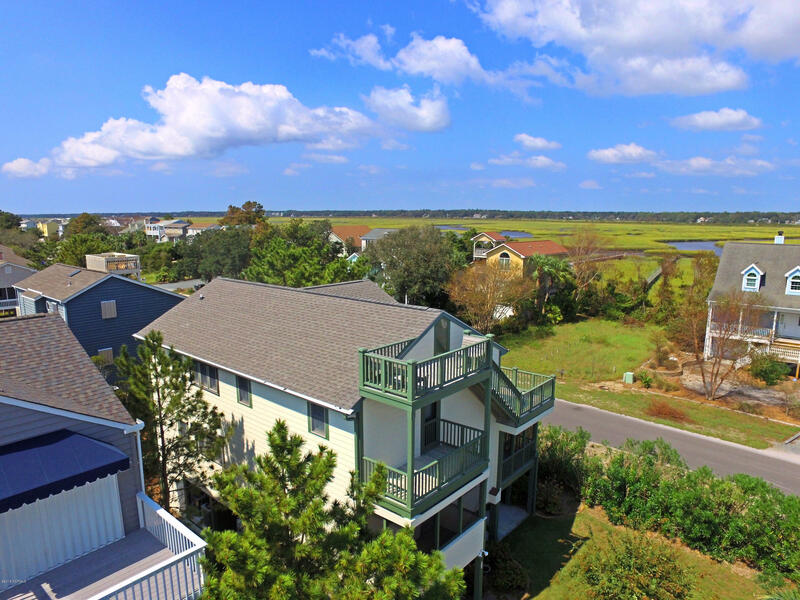 Scenic Views plus Custom Design delivers Spacious Southern Comfort! 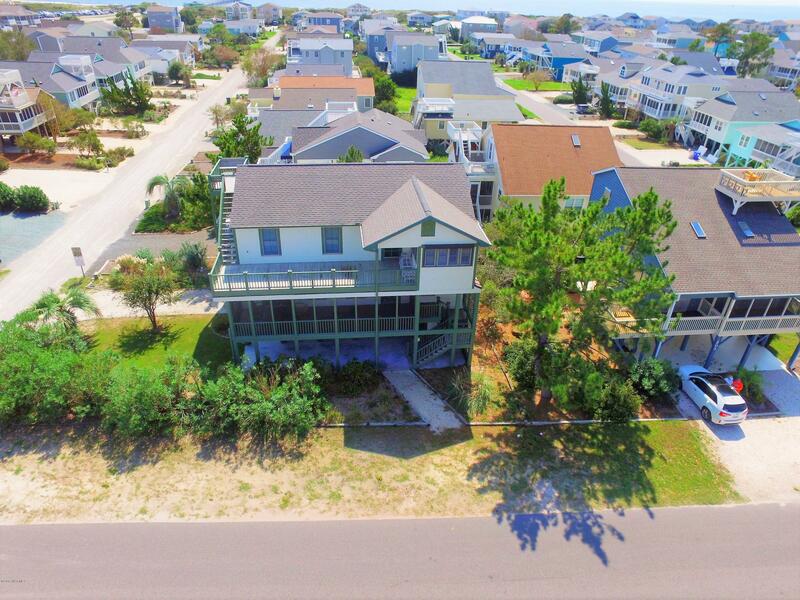 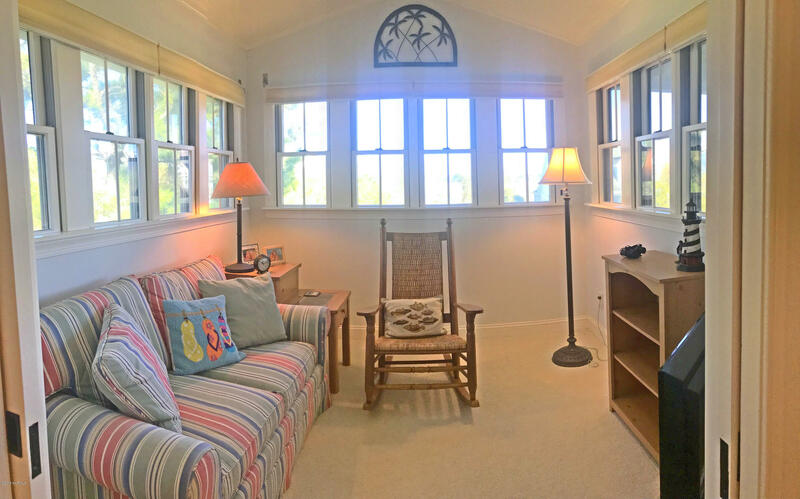 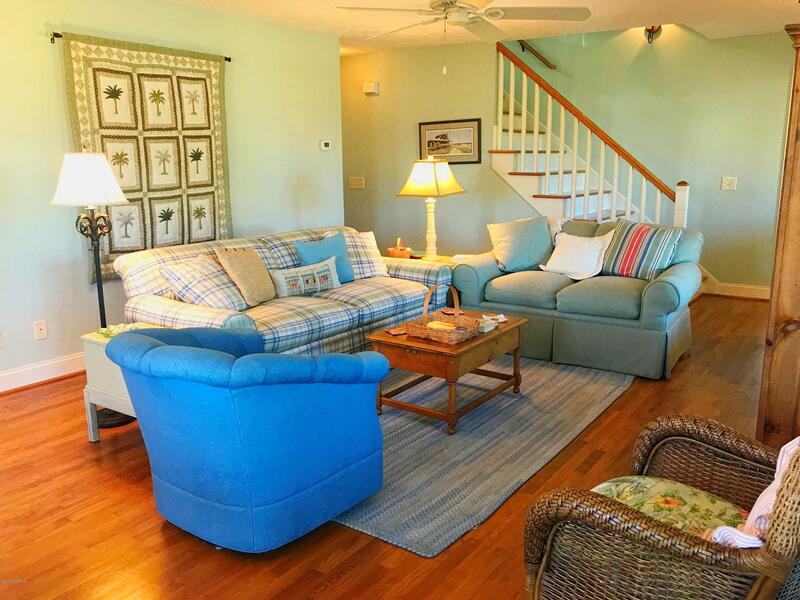 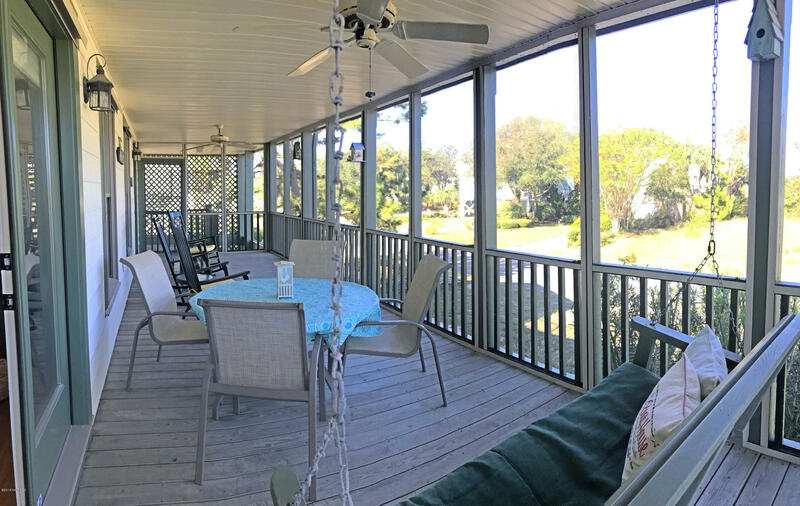 A huge screened porch invites you in to a desirable open floor plan with warm oak hardwood floors & soothing coastal colors. 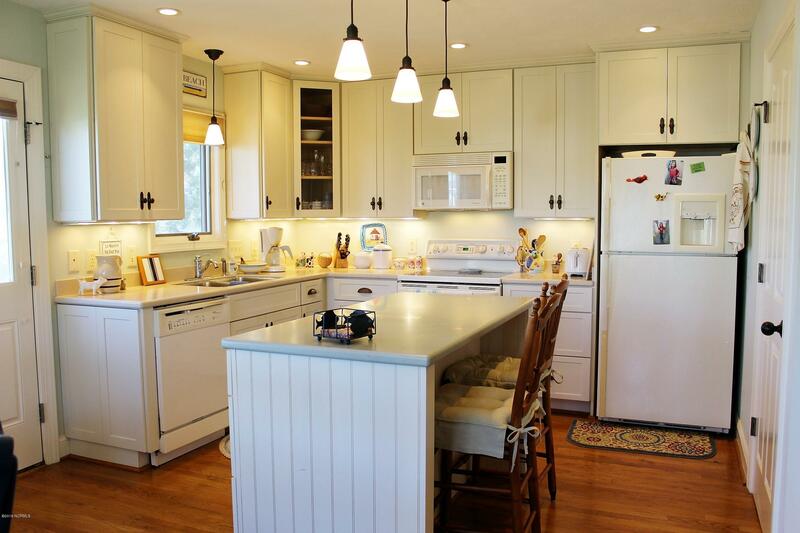 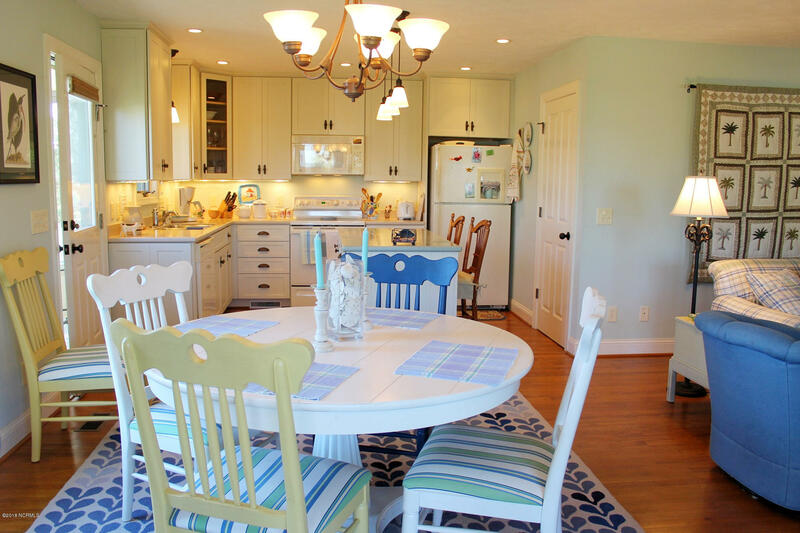 Living area flows to the charming Kitchen w/shaker cabinets, Corian counters, center island & breakfast porch. 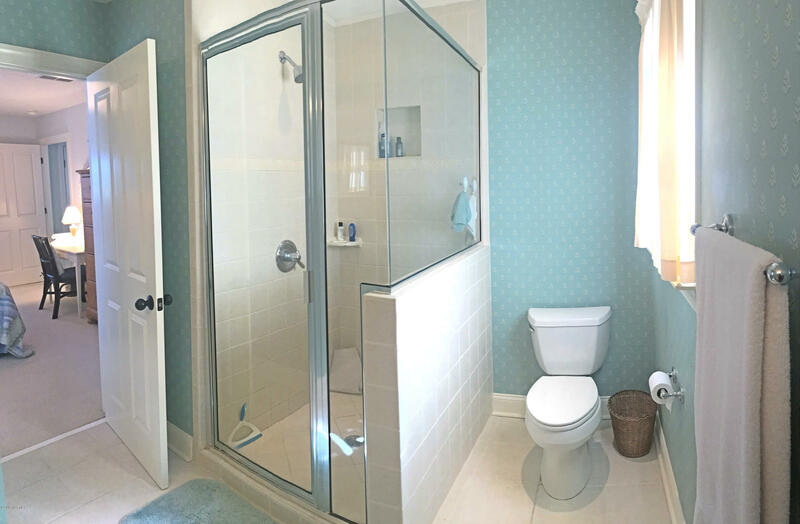 An en-suite bdrm is ideal for guests or main-level master. 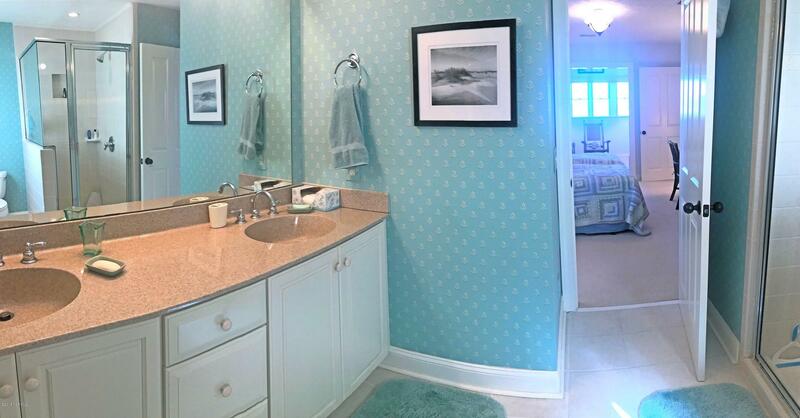 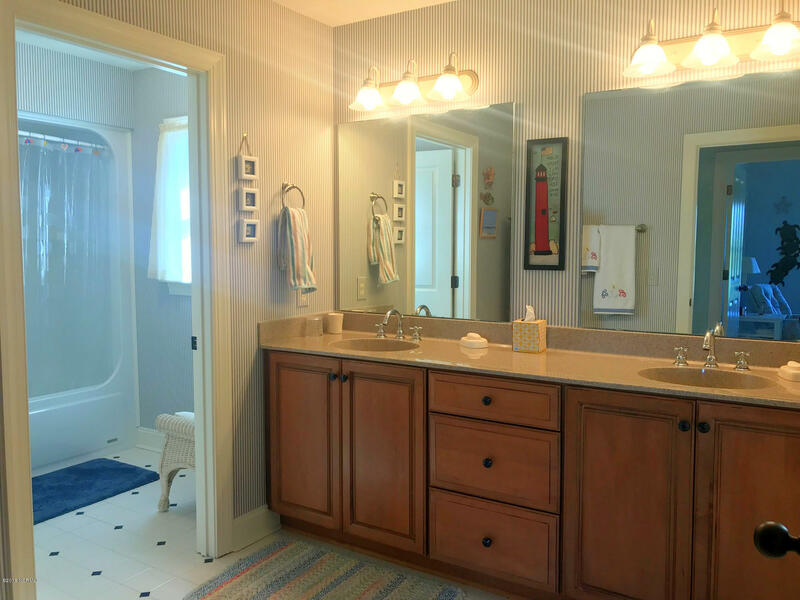 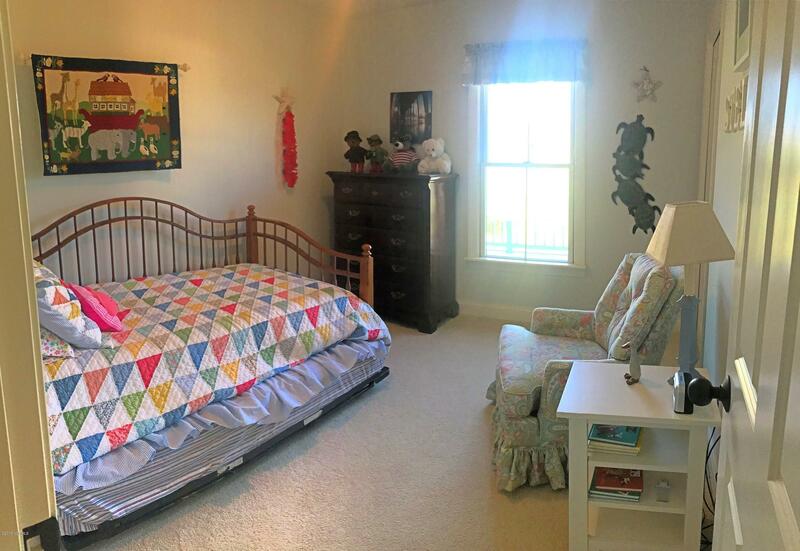 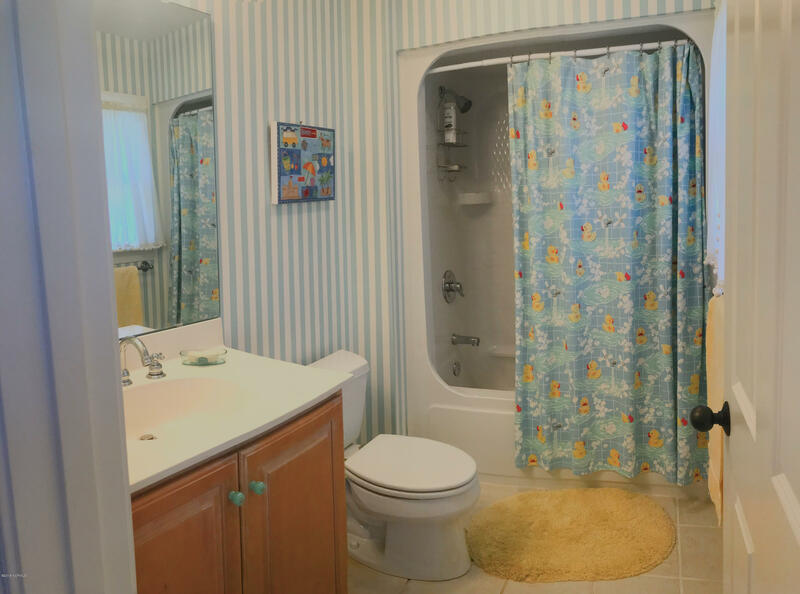 2nd level features an impressive Master Suite with a sitting room & Master Bath w/tiled shower. 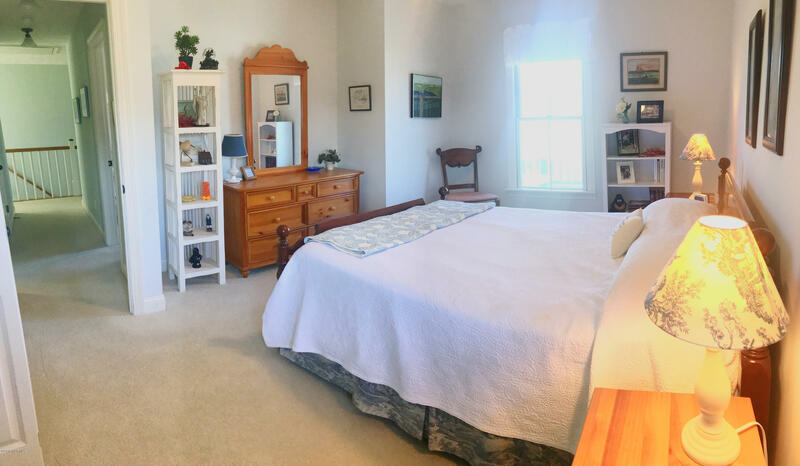 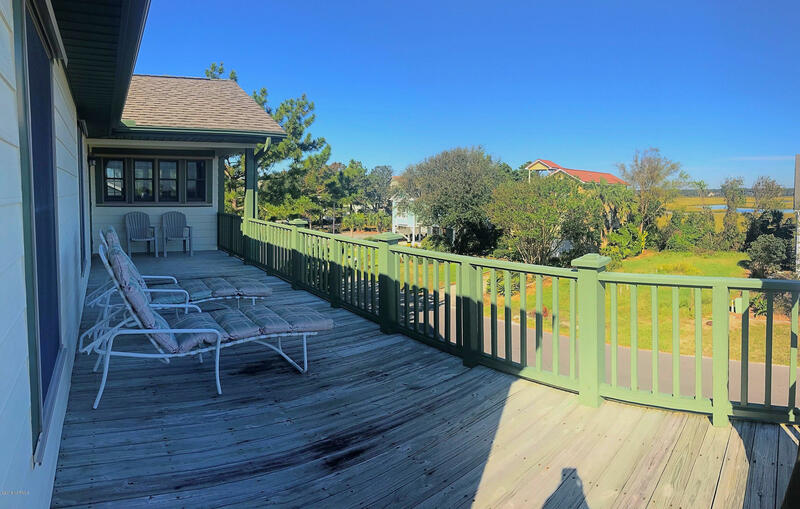 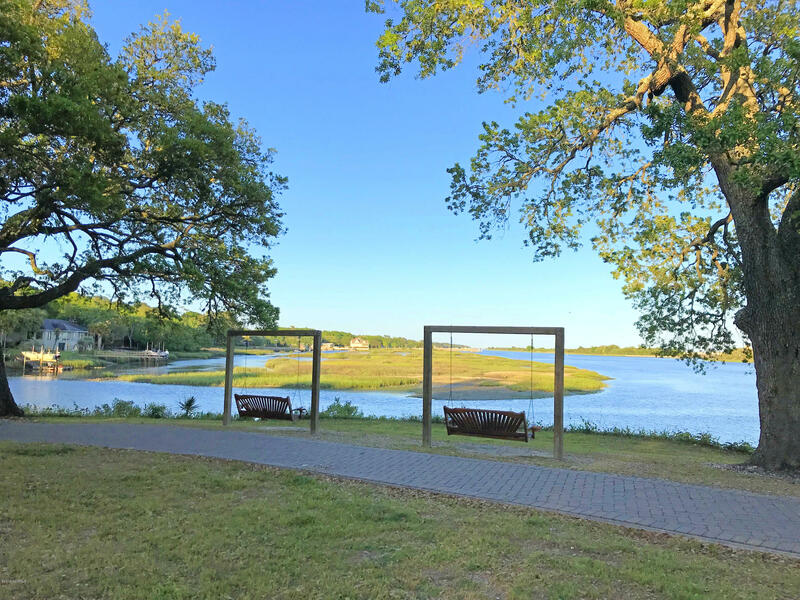 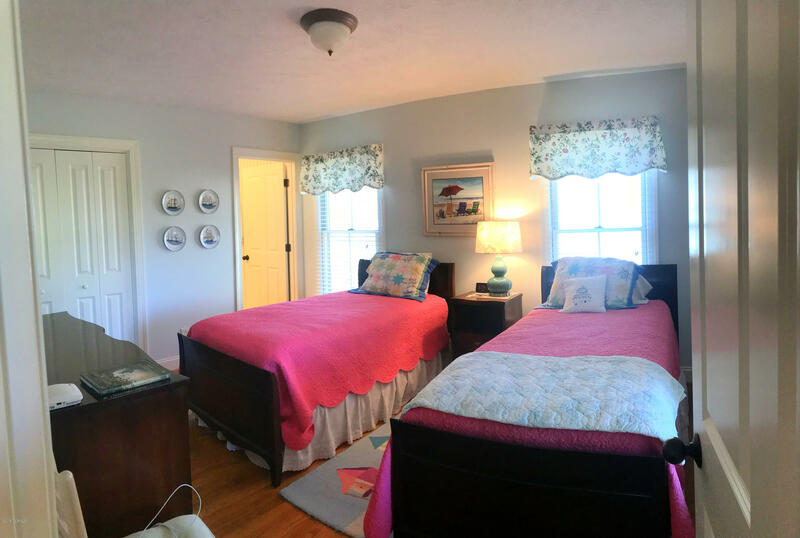 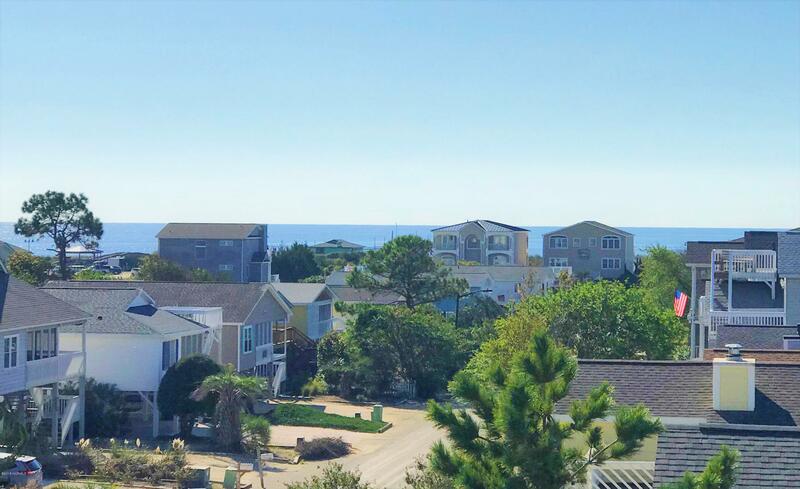 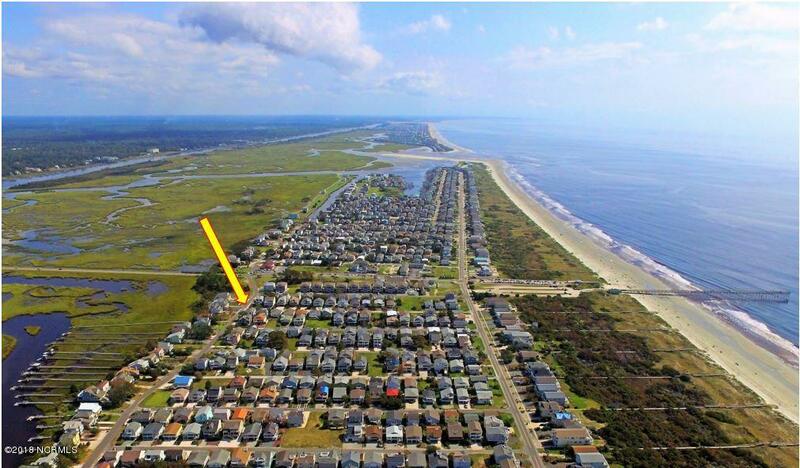 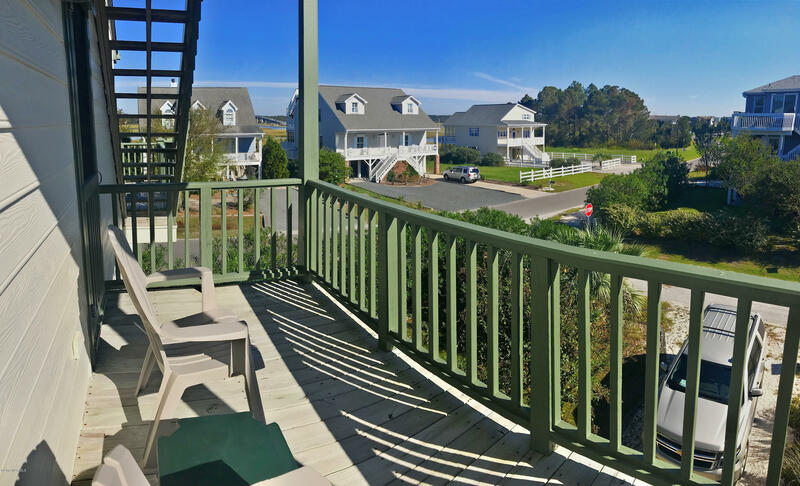 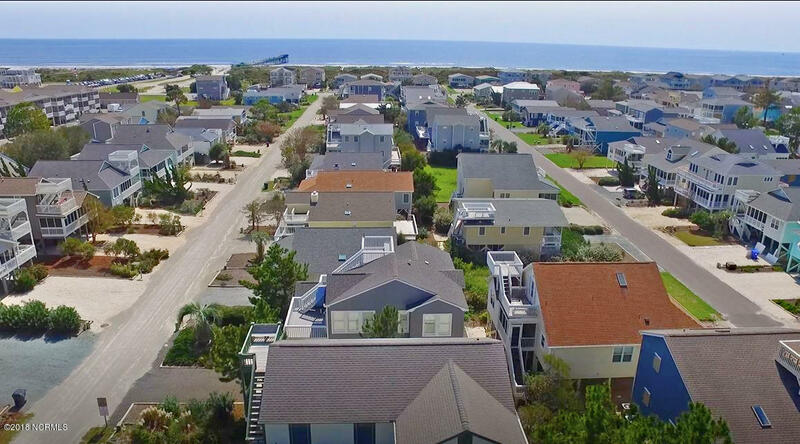 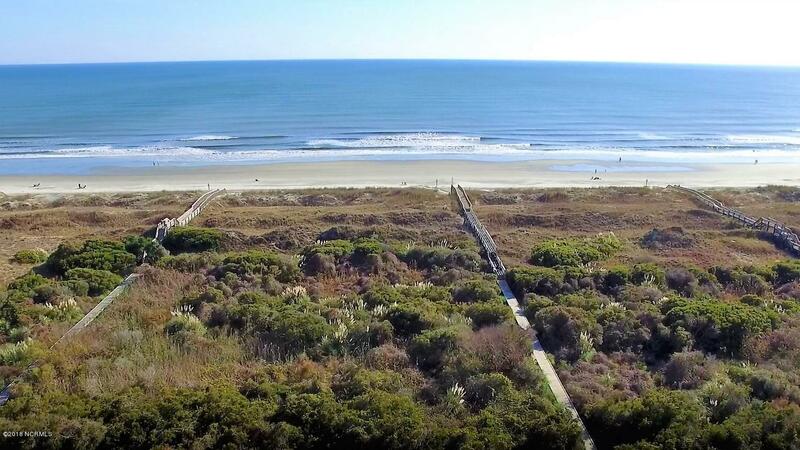 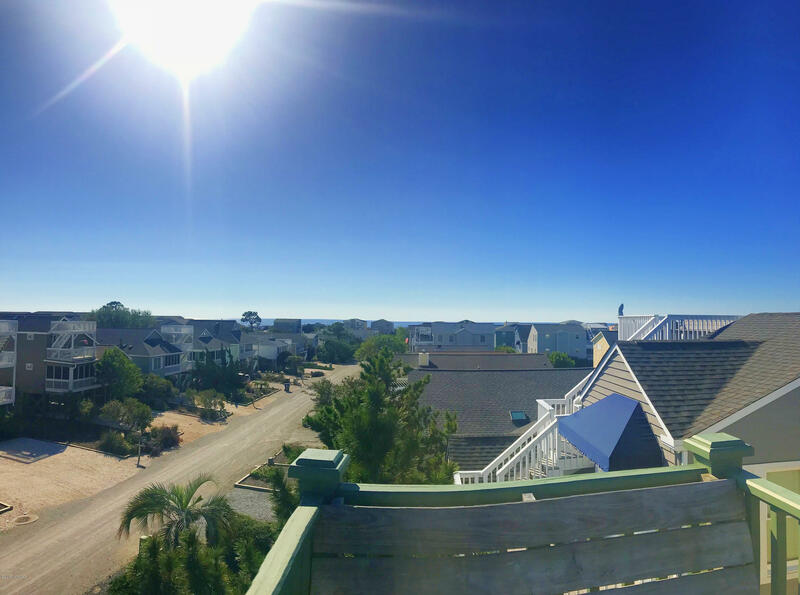 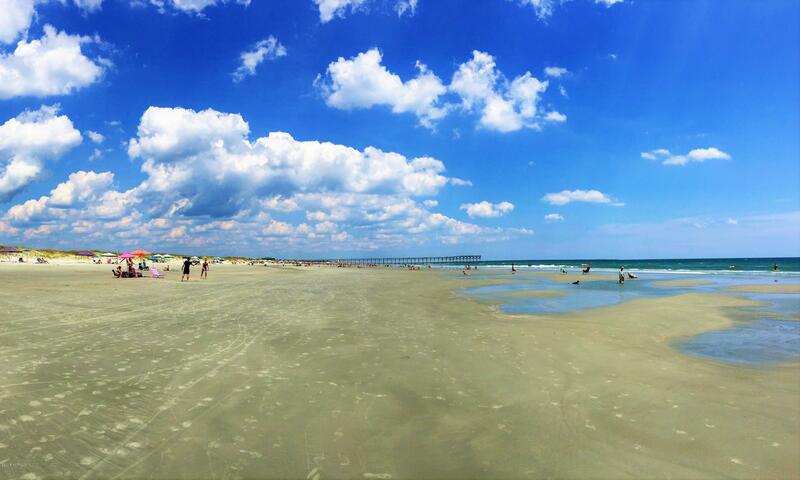 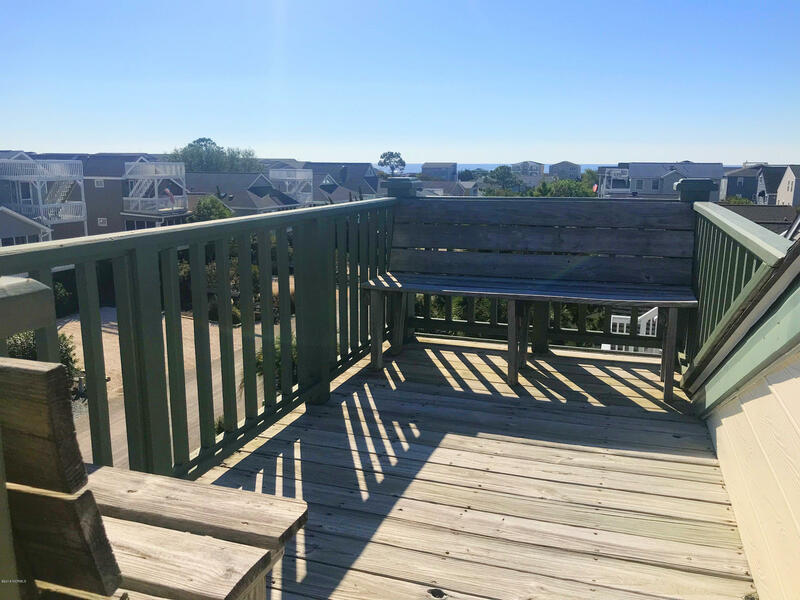 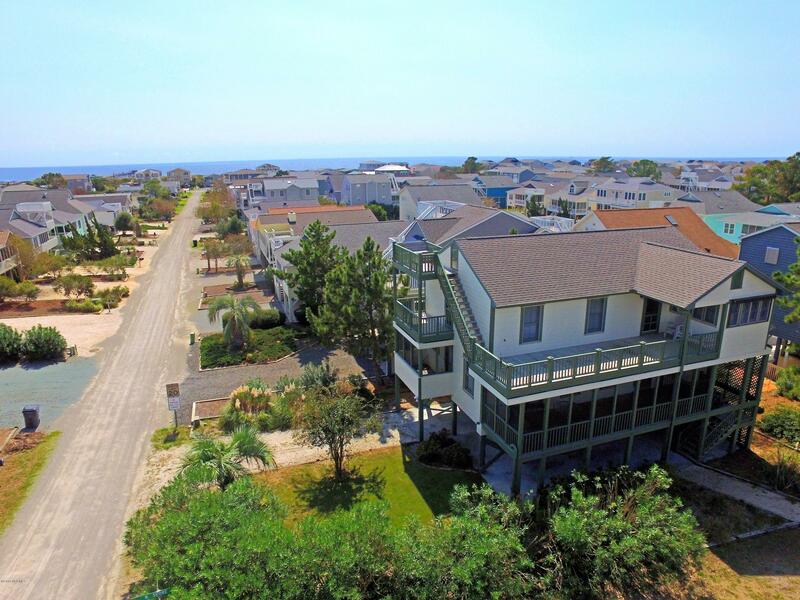 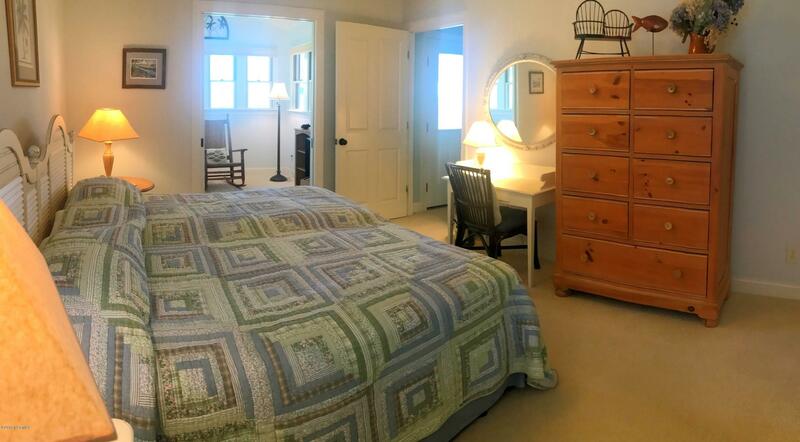 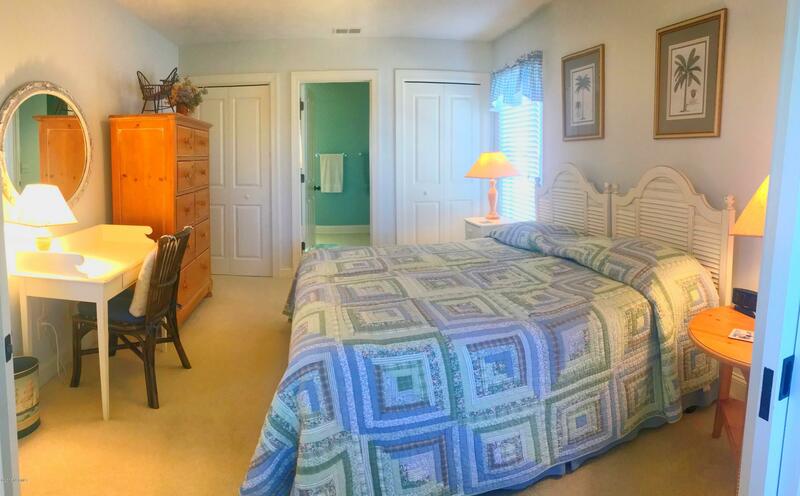 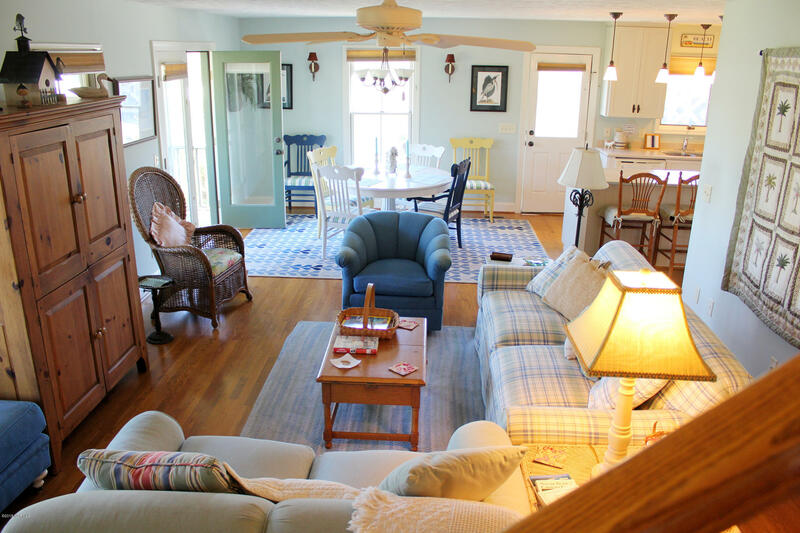 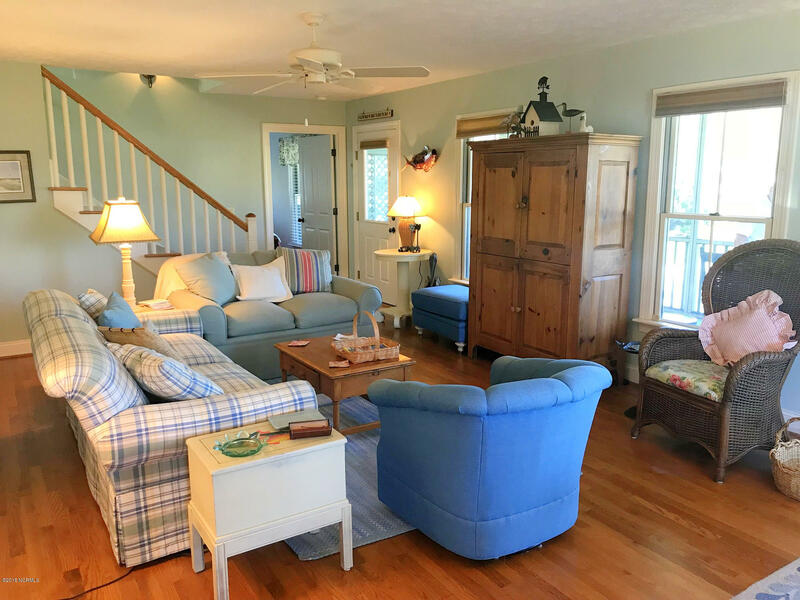 Find two more bedrooms, a private porch, oversized hall bath, large upper deck & roof deck with Ocean Views. 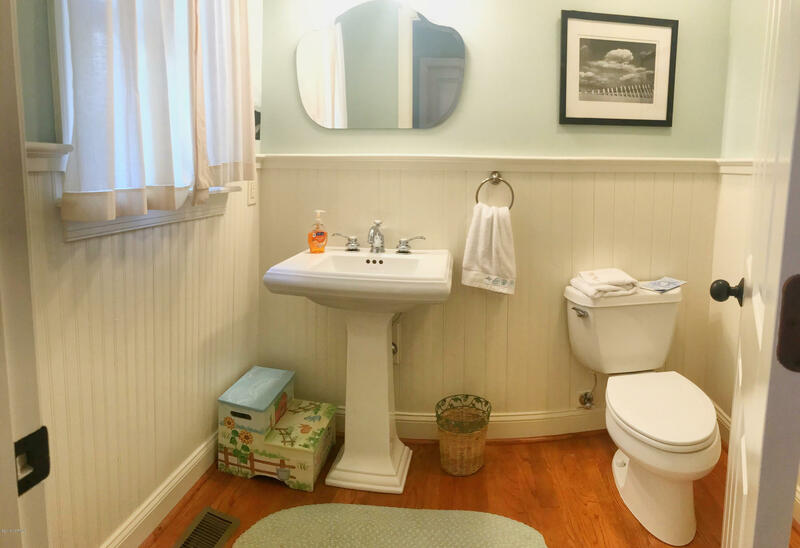 It's all in the details here! 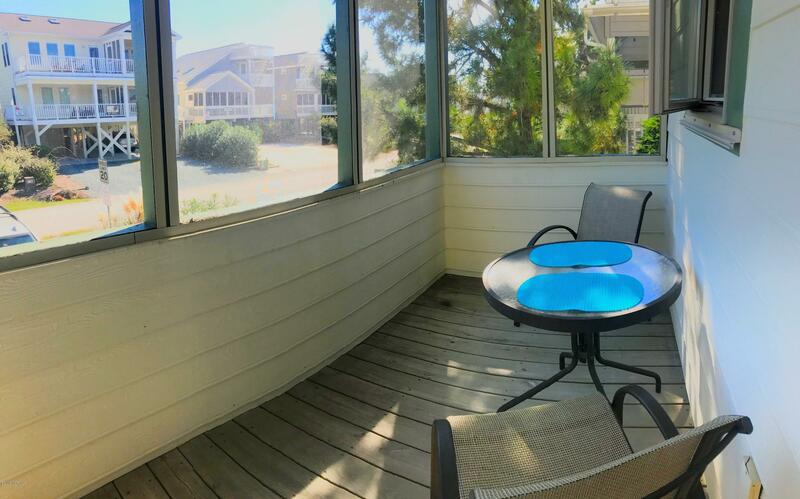 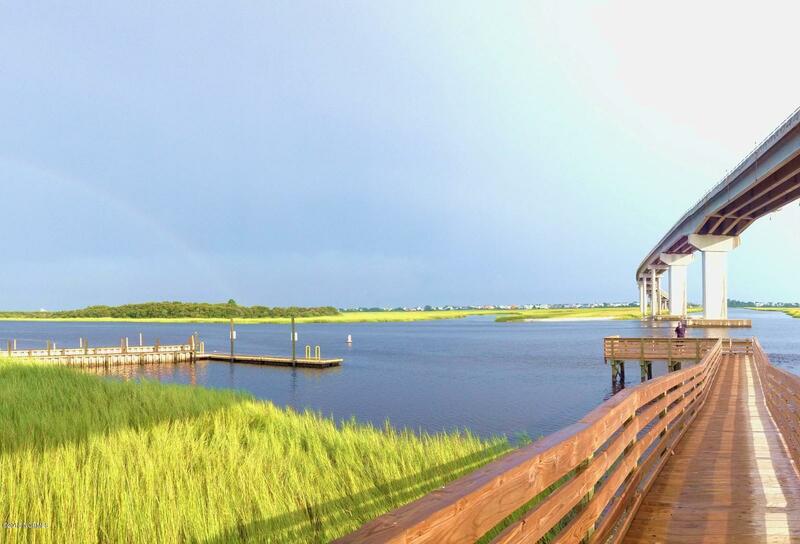 Outdoor spaces abound with 5 decks, an outdoor shower w/dressing area, a work-shop, hurricane shutters & more!